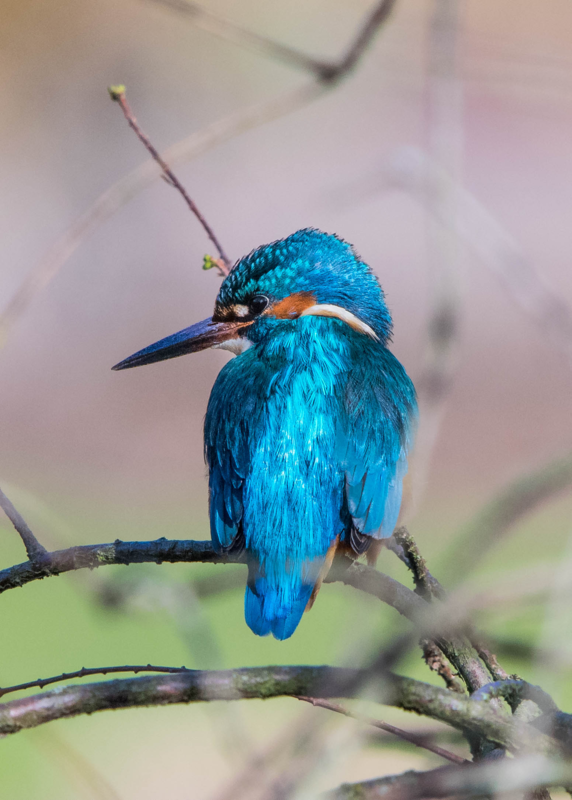 If you are writing a bucket list to see some of the UK’s best wildlife the elusive kingfisher would surely get a mention. People can easily live their whole lives and never see one. Well I say- head to the City centre! Urban environments can create excellent opportunities for wildlife watching that are easily accessible and quick to get to. With small habitat zones and shorter periods of undisturbed time your chances of catching a glimpse are much higher. And who wouldn’t want to see the flying blue fisherman?! This fascinatingly busy bird has to eat its own body weight in fish every single day! And whats more, it has to do so whilst holding a territory of up to 5 km! 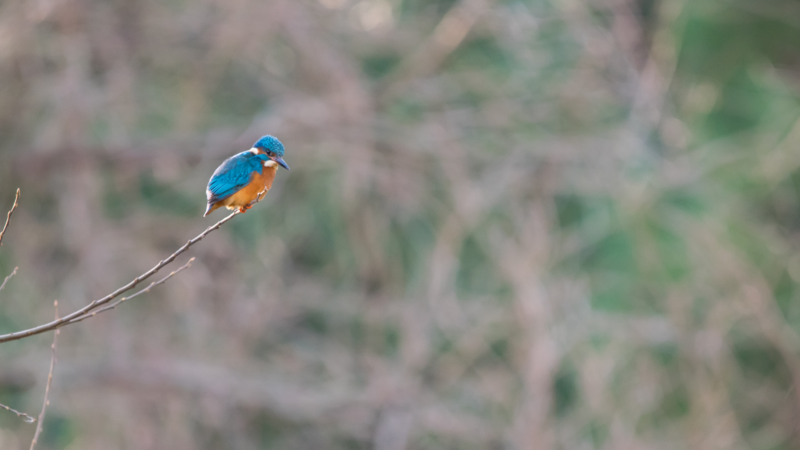 So if you would really like to see a kingfisher then head to the Edinburgh Botanics this Winter, follow my trusty tips below and you may well see one! Timing– Enter the garden as soon as it opens at 10 am or wait for quieter periods during the day. Place– Head to either side of the large pond or up stream towards the Rock Garden. Movement– Watch for fast and rapid movement only a few inches above the water. Listen– You might hear a high-pitched “tseet, tseet tseet!” and be alerted to its presence. Look– Scan the branches along the edge of the pond/stream or look for a bright blue reflection in the water. Patience– Just when you think you have waited for long enough, stay a little longer. And then wait some more. And that’s it…. Hopefully you’ll be lucky enough to spot one next time you walk through the Garden! We have had sightings this very week and normally see them in most months of the year! As I said earlier though, they do seem to appear more frequently as we get into the quieter depths of winter. However that might have something to do with the lack of camouflage! This is a perfect example of a species that I see more easily in the city centre than I do in the countryside, and by an incredible rate. And whilst I think there is a bit of a knack to wildlife watching, if you follow my suggestions you are in with a real chance of witnessing the majestic delight of this City King. Before I sign off I should mention the incredibly-patient photographer behind these beautiful images! 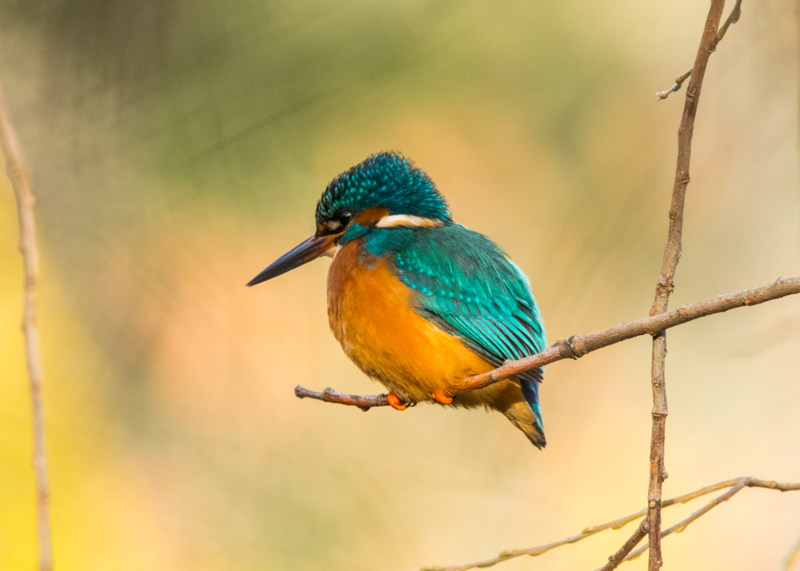 If anyone knows how to wait for the kingfisher its James Hopkins. You can see more of his wildlife images here. Any budding wildlife photographers that wish to feature on our RBGE Nature Instagram account please get in touch or follow us for more beautiful nature shots from our Edinburgh and regional gardens. It was fishing the large pond at 10am today. Thanks JP. It is such a pleasure to see!